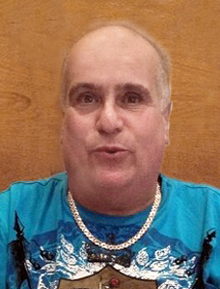 Ciulla, Joseph J life resident of East Boston passed away unexpectedly on Sept 2. Loving son of Paula (Sarcone) and the late John F Ciulla of East Boston. Cherished brother of Annette Favale of Tewksbury, Angela and Maryjane Ciulla both of East Boston and the late Paula Hubert. Beloved Fiance of Maria Mendonca of Somerville. Also survived be his many adored nieces, nephews, aunts, and uncles. Family and friends will honor Joe by gathering at the Ruggiero Family Memorial Home 971 Saratoga St (Orient Heights)East Boston on Saturday Sept 8 from 12-2 PM followed by a prayer service in our Serenity Chapel, all other services will be private according to his wishes.